The General Educational Development Test is an exam that attempts to determine whether an individual has attained standard high school level academic skills. This exam is designed for people who have yet to obtain their high school diploma. Individuals who pass the exam are awarded a Certificate of General Educational Development. The GED test is administered by the American Council of Education® through Departments of Education in individual states. The test can only be taken at official test centers across the country. These tests have rigid guidelines, so unfortunately, you cannot get your GED certification through an online process. The test is a seven hour exam which is broken down into five separate smaller tests based on subject area: math, social studies, science, language arts reading and language arts writing. A student must pass each of the five tests. Most school districts do not require that all five exams be taken on the same day. The majority of the exam consists of answering questions using a multiple-choice format. Each correct answer is worth one point. For each individual test, these points are totaled and then converted to a standard score, which ranges from 200 to 800. Candidates need a standard score of at least 410 in each of the GED tests in order to pass the GED Tests and an overall average score of 450 for the five-test GED battery. Part II of the language arts exam is the writing section. Students are required here to write an essay that must contain at least five paragraphs supporting a thesis statement assigned by the test itself. Many people do not pass the test on the first try. Only 3 out of every 10 students pass all five exams on their first try. Most local boards of education encourage students to enroll in a preparation course either at a local classroom on a weekly basis or through individual independent study. Two of the popular independent study preparation services include Pass GED and Ged For Me. The GED Test changed back in 2014. So if you've already passed some parts of the test prior to Jan 1, 2014, you will need to start all over now. Sorry. Community Colleges such as Elgin Community College in Elgin, Illinois, Schenectady County Community College in Schenectady, New York, and Barton County Community College in Great Bend, Kansas, can help students prepare for the test by taking Adult Basic Education and exam preparation courses in the subjects they need to work on. Elgin Community College is located in Elgin, Illinois. They offer GED introductory courses, exam preparation courses and a variety of classes that help prepare students to successfully pass the exam. They offer classes in English and Spanish. Read more. Barton County Community College is a junior college in Great Bend, Kansas. They give a local student the opportunity to earn a Kansas State High School diploma by passing the exam. Read more. Schenectady County Community College offers day and evening courses designed specifically to significantly improve success rates on the GED exam. Course emphasis is on building students basic reading, writing and math skills. Read more about Schenectady County in New York. This website is not affiliated with or endorsed by the American Council on Education® or GED Testing Service®. GED® is a registered trademark owned by the American Council on Education. This website is merely an information resource about the education options available to students who did not earn their high school diploma. Prepare for the GED exam more than you would for any other test. Thinking about homeschooling your child? Well, it can be a terrific experience. It takes dedication and discipline from both the parents and the child, but the academic and personal results can be outstanding. American Council of Education is the major organization coordinating all the nation's higher education institutions. GED practice exam to find out more about GED practice courses and practice tests. GED exam study help company has pre-test help through classes and study guides. Practice test service for assistance via online and print preparation programs. 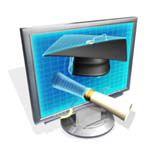 Earning your high school diploma online has details on earning a high school diploma online. Contact us offers details on contacting this website via email. Copyright © 2019 GEDPrograms.org All rights are reserved. An alternative to taking the GED test is to actually complete your high school diploma through online study. Learn more.